The examination is open to anyone who wishes to attend (Central Library of NTUA, Room 038). Thesis Title: Social network data retrieval, processing and analysis focusing on sentiment analysis and event detection. Abstract:This PhD thesis aims at proposing solutions to important issues related to social network data analysis. The application to a heterogeneous multimedia environment is also examined. Several technologies are used such as delivery of high resolution multimedia content, methodologies for monitoring and analysing social network activity and use it to seamlessly annotate in real-time the presented educational movie using anthropocentric semantic extraction based on MPEG-7. In this way, the multimedia content of the presented movie can be easily reviewed by multiple geographically dispersed individuals and improved afterwards according to the received feedback. 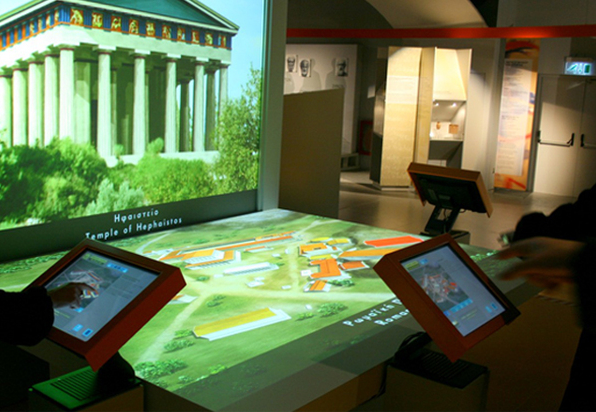 The system enhances the experience of the visitors in cultural educational centers and improves the educational process. It has been successfully used in the context of European research project EXPERIMEDIA in traditional and educational premises such as Foundation of the Hellenic World etc. Furthermore, a service for event detection focusing on social media data has been developed, which aims at clustering media items into groups of events based on their textual information as well as available metadata. Our approach is based on distance-dependent Chinese Restaurant Process, a clustering approach resembling Dirichlet process algorithm. Furthermore, we scrutinize the effectiveness of a series of pre-processing steps in improving the detection performance. The problem of sentiment analysis focusing on social media data has also been extensively examined and a sentiment analysis service has been developed, based on n-gram graphs algorithm in order to extract patterns and classify data into the available classes. Both services were evaluated using multiple datasets and metrics and were exploited in the context of European research project SUPER, as an important part of an integrated platform for empowering security and emergency agencies to fully leverage social media in their operations during emergencies.